Clinical and radiological features of tuberculosis and sarcoidosis are quite overlapping, and therefore, a diagnostic dilemma often persists. There are no commonly accepted criteria for the diagnosis of sarcoidosis due to the lack of data on the etiology of the disease. The exclusion of tuberculosis in every patient with suspected sarcoidosis is a mandatory stage of diagnosis, especially in countries with a high burden of tuberculosis. A prospective study was conducted with two groups of patients: group I (n = 50)—patients with pulmonary sarcoidosis established according to standard criteria; group II (n = 28)—patients with pulmonary tuberculosis with bacterial excretion. The control group (n = 24) was presented by healthy subjects. The examination complex included x-ray, bacteriological, immunological (Mantoux test with 2 TE, TB.SPOT test), and histological methods. All patients and healthy subjects were assessed for immune complexes with the use of the dynamic light scattering (DLS) method and adding of “healthy lung tissue extract” antigens and specific tuberculosis antigens ESAT-6 and SFP-10 in vitro. Significant differences were found in determining specific immune complexes in patients with pulmonary sarcoidosis and pulmonary tuberculosis. 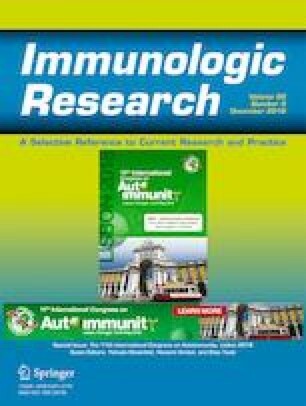 Registration of specific immune complex formation with “healthy lung tissue extract” in 100% cases may indicate the autoimmune nature of sarcoidosis. The absence of the immune complex formation in response to ESAT-6/SFP-10 antigens can be used for the differential diagnosis of two diseases. The diagnostic significance of the DLS method was 100% for sarcoidosis and 92.2% for tuberculosis. The data obtained in the study allows not only understanding the etiology of sarcoidosis, but also obtaining new criteria for the differential diagnosis of tuberculosis and pulmonary sarcoidosis. Baughman R., Drent M., Judson M., Maier L., Moller D., Rossman M., Stern B. (2008) Sarcoidosis treatment guidelines // http://www.sarcoidosisprotocol.org 06.02.2014. Laser correlation spectroscopy. Klin Lab Diagn (4):37–41.